Floodings in Northern Vietnam in July killed 35 people and affected thousands. 35 people were killed and many thousands were affected by the tropical storm “Son Tinh”. 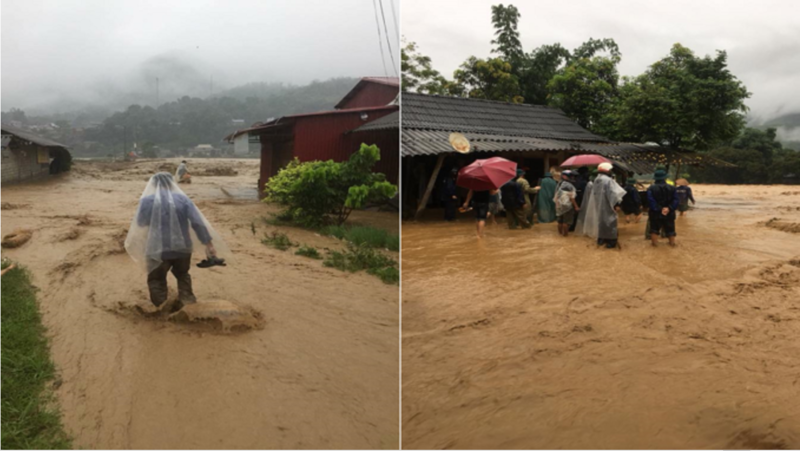 We Effect and Yen Bai Cooperative Alliance are now delivering emergency relief to flood victims in the province of Yen Bai. Floodings triggered by the storm, also named Storm 3, hit several of Vietnam’s northern provinces at the end of July. “The floods swept away a family of four as they were sleeping”, said Nguyen Xuan Hong, chairman of Lang Chanh district to local news outlets. In the province of Yen Bai over 1.500 houses and thousands of hectares of agricultural land and crops were destroyed or damaged by the storm. We Effect funded emergency aid, consisting of agricultural products and home repair kits, are now being distributed by We Effect’s partner Yen Bai Cooperative Alliance to affected families in the districts of Van Yen, Tran Yen, Van Chan district and Nghia Lo town. – For farmers the harvest is everything, this contribution will give affected families a possibility to repair their houses and re-plant crops, says Jennifer Vidmo, regional director at We Effect. The storm was only the last in a long number of extreme weather situations having impacted Vietnam in the last year. Climate experts are cautious to say that there´s a direct correlation between these events and climate change, but the storms are in line with their predictions of more extreme weather due to global warming. – Vietnam is one of the most vulnerable countries to climate change in the world. This past year’s extreme weather events are a loud reminder of that, and that we need to support people to mitigate the effects of climate change now, says Jennifer Vidmo, We Effect’s regional director in Asia.